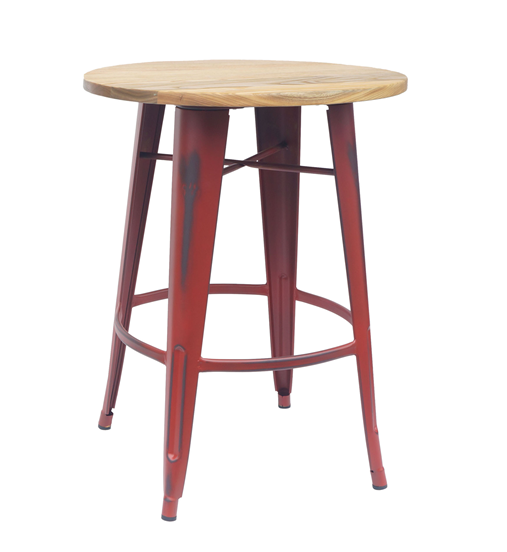 The Vintage Café Table is a mixed material, tall, pub style table. 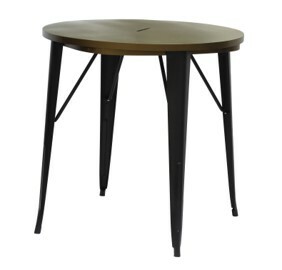 The Vintage Café Tall Table with a natural wood top and distressed painted legs give it a gently worn appearance. Great for adding farmhouse style to kitchen nooks or workspaces.